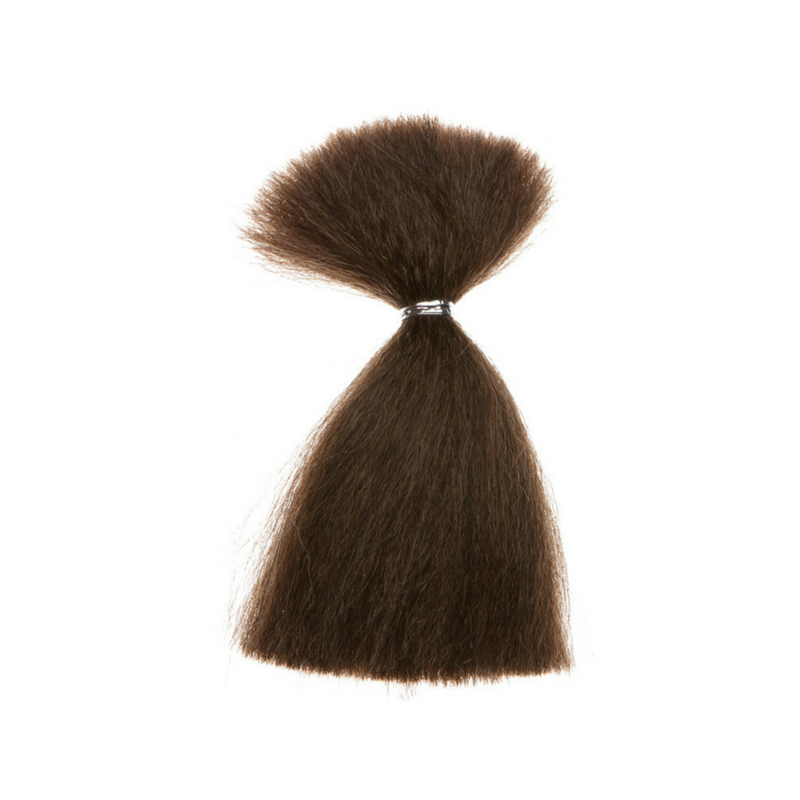 This 1/2oz bundle of loose "Pre-Permed" hair is made of "Indian Remi Human Hair". This hair can be straightened, curled, and dyed just the same as natural human hair. When wet and left to dry, being permed, the hair will always return to its original permed texture. Any of the "Stilazzi HD Facial Hair Pieces", "Stilazzi Overlay Hair", and "Stilazzi HD Wigs" that are "Aged" (meaning if there is any "White" strands of hair in it), the white can take heat, but won't take color. All the other colors within each piece will take color, except for the white. If you would like to color the white as well, you can use temporary color spray, or any alcohol based makeup.